While most people know him as the host of the wildly popular TV show, they might not know that he is also a survivor of drug addiction, alcoholism, and homelessness. Now in his 21st year of sobriety, his inspiring and entertaining story is a prescription for hope that can be applied to anyone regardless of their life situation. Zimmern was a daily drug user from the age of 15, and experienced acute alcohol poisoning and homeless until 1992 when he had a life-changing experience. that saw him check into rehab, sober up, and stay clean. Devoting himself to helping others, his life changed, and his show Bizarre Foods is a direct result of his channeling that life choice, telling his stories through food and travel adventures. 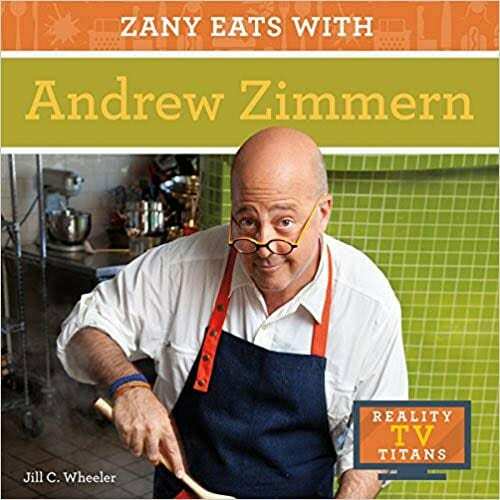 A four-time James Beard Award-winning TV personality, chef, writer and teacher, Andrew Zimmern is regarded as one of the most versatile and knowledgeable personalities in the food world. 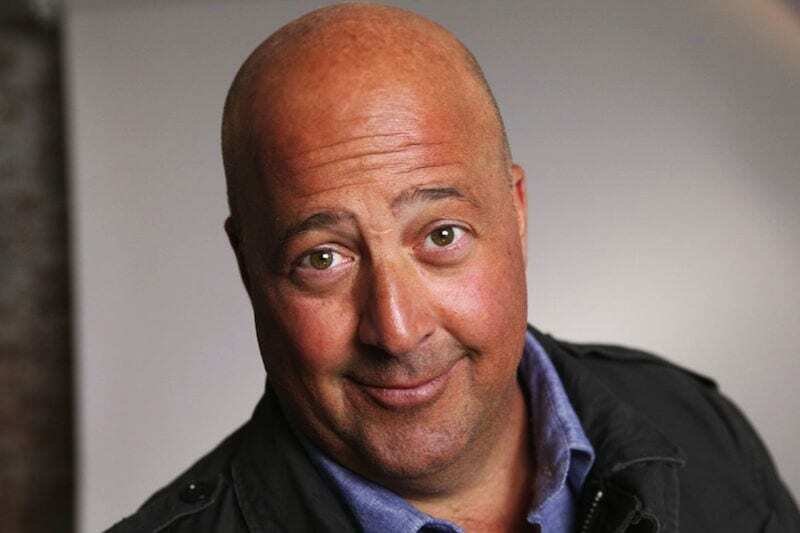 As the creator, executive producer and host of the Bizarre Foods franchise on Travel Channel, Andrew Zimmern’s Driven by Food and The Zimmern List, he has explored cultures in more than 170 countries, promoting impactful ways to think about, create and live with food. He has been nominated for 12 James Beard Awards and he has won awards for “TV Food Personality” (2010), “TV Program on Location” (2012), and “Outstanding Personality/Host” (2013 and 2017). In 2016, Andrew was named one of “America’s 50 Most Powerful People in Food” by The Daily Meal, one of the “30 Most Influential People in Food” by Adweek and as one of Fast Company’s “Most Creative People in Business.” In 2017, Andrew won the award for Best Host at the Cynopsis TV Awards. According to Eater, “Zimmern knows more about the foods of the world and the history of modern gastronomy than anyone else in our solar system. He’s a walking, talking food encyclopedia, and a true omnivore.” Andrew has appeared as a guest judge on Chopped and Top Chef, and was chosen as a mentor for Season 2 of Food Network’s All-Star Academy. HIS SUBSTANCE ABUSE STORY: Long before he became famous for traveling the world and eating bizarre foods on TV, Andrew Zimmern was heading down a destructive path of drug and alcohol addiction. By the time he was in 10th grade he was a daily drinker, pot smoker and pill taker. He discovered as a teen that alcohol could dull his senses and cut off his emotions. Junior year he added cocaine user to the list. “You feel all the things that gave you anxiety or depressed you disappear”. Alcohol numbed his pain as he struggled to cope with his mother being in a coma and, ultimately in a series of mental hospitals. I became a snorting, speedball freak but was able to “create a balance of chemicals in my body that actually allowed me to be high functioning for many years”. His additions caught up with him as he started his cooking career and he lost jobs, his apartment and became homeless for eleven months. He stole to support his habit and spent three days in a flophouse trying to drink himself to death. That failed and eventually a group of friends arranged an intervention. If that hadn’t have happened, he says he “would be dead”. He has now entered his 26th year of sobriety. Must of his energy is focused on helping others battling addiction and homelessness. Andrew Zimmern was precise and passionate– a clear communicator with the right amount of humor and gravity to get the audience’s attention and keep it. His devotion to recovery came through and his personal story inspired others. He is motivating, compelling and a solid speaker to be enjoyed and carry the message of experience, strength and hope.